Sudan's major cities have been rocked by anti-government demonstrations for the past several months. This type of political protest has been rare in the Sudan since the government of President Omar Hassan al-Bashir took power in an “Islamic” military coup in August 1989. The Sudanese military has never hesitated to use lethal force against protesters – indeed, several hundred have been reported killed since the beginning of the 2019 movement. These events reflect a substantial decline in living standards for a majority of Sudanese since the independence of South Sudan in 2011 – the South is the main source of oil. The northern Khartoum government saw oil revenue decline to only fourteen U.S. dollars per barrel transported from the south to Port Sudan on the Red Sea, via a Sudanese government-owned pipeline. Sudan’s economy has also suffered from corruption among the ruling military hierarchy, while rapid inflation has become an everyday problem for ordinary Sudanese families. They are fed up, and want the al-Bashir regime to relinquish power to a democratically elected government, as existed prior to the military coup of 1989. Since its inception, the relationship between the al-Bashir regime and the international community – especially the United States – has been strained. During the regime’s early “Islamic” period, all of the Middle Eastern terrorist organizations had offices in Khartoum. Although all of these offices have been closed, the United States continues to list the Sudan as a state sponsor of terrorism. More recently, since the start of popular protests, the United States has denounced the regime’s human rights violations against its citizens, which have delayed Washington’s prior efforts to lift sanctions against the Sudanese government. 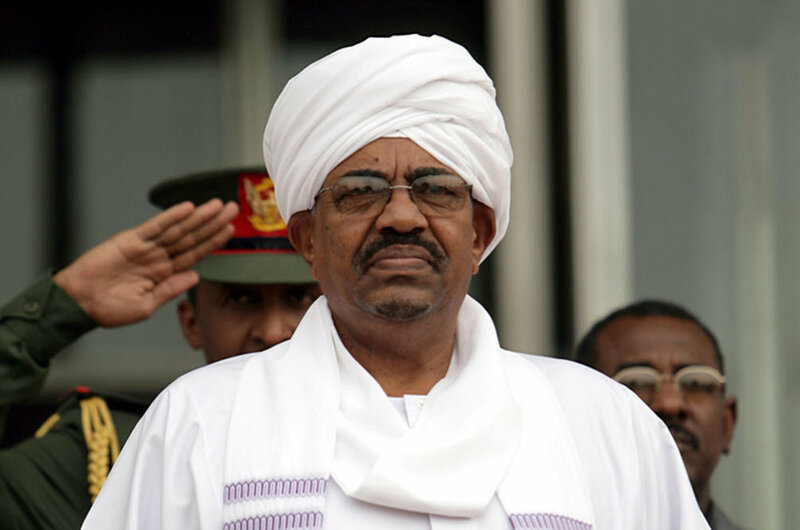 Work to persuade the al-Bashir regime to step down in favor of a democratic revival is hindered by an outstanding indictment against the President for crimes against humanity, handed down by the International Criminal Court. These crimes date back to Khartoum's fight against the South Sudanese Liberation Movement, prior to the 2005 Comprehensive Peace Agreement brokered by the United States. Ideally, al-Bashir would be held accountable for his crimes. But everything possible must be done urgently to end the crisis in the Sudan, lest further violence and instability be visited on a people who have suffered for far too long. As long as al-Bashir is under the threat of a trial in the Hague, he will be reluctant to leave power. There is some sentiment in western capitals that the ICC indictment should be cancelled if it would facilitate regime change in Khartoum. This is a decision that the U.N. Security Council has the power to render. The Sudanese people are suffering greatly. It is time to make a deal in which the ICC indictment will be rescinded in return for al-Bashir's resignation and exile without further meddling in the country's affairs. The senior army officers who surround al-Bashir will be pensioned off and allowed to live peacefully in their communities with their ill-gotten gains. al-Bashir may be a criminal, but prolonging the suffering in the Sudan to seek a prosecution which may never happen is not worth the price the Sudanese people will pay. Starting in early 2015, DRC President Joseph Kabila expressed an interest in amending his nation’s constitution to eliminate the two-term limit on the head of state. His proposal stimulated major street demonstrations by ordinary Congolese people. As a result, he stopped talking about changing the constitution. Nevertheless, Kabila continued to maneuver to remain in power. The presidential election scheduled for November 2016 received no funding, effectively cancelling it. The DRC Constitutional Court ruled that in the absence of an election, the President remains in power until an election can be organized. In response to general discontent, Kabila held a number of “consultations” coordinated by the Conference of Catholic Bishops (CENCO) during 2017 and early 2018. The consultations were constructive. Nevertheless, they basically served to delay elections and maintain Kabila in power. The growing instability caused by Kabila’s refusal to consider relinquishing power caused the international community to intervene. Most importantly, U.S. United Nations Ambassador Nikki Haley visited Kabila in September 2017, and persuaded him to pledge to organize an election prior to the end of 2018, and to pledge that he himself would not be a candidate. Kabila’s decision constituted a successful diplomatic action by the U.S. government. Kabila kept his pledge to Ambassador Haley, but he did it in such a way as to try to maintain himself in power through a surrogate. For the 2018 presidential election, Kabila named Ramazani Shedari as his “heir”. During the election campaign, Shedari was one of three principal candidates. The other two were opposition candidates Martin Fayulu and Felix Tshisekedi. In view of the history of presidential elections in the DRC, dating back to 2006, most observers expected the vote count to be manipulated fraudulently so as to give the victory to Kabila’s surrogate Shedari. But to everyone’s surprise, the authentic election count gave so few votes to Shadari, that Kabila could not possibly get away with declaring him the winner. All of the voting stations had witnesses and observers. The largest number of witnesses were from the UDPS party that supportedTshisekedi. The largest number of observers were from the Catholic Church. The Church reported that the candidate with the most votes was Fayulu. The UDPS reported that candidate Tshisekedi was the winner. Other sources reported to have seen the vote count of the official electoral commission (CENI) that had Fayulu as the winner. Not being in a position politically to declare Shedari the winner, Kabila had to choose between Fayulu and Thisekedi. He chose Thisekedi because Fayulu was financed by his arch enemy Moise Katumbi. To Kabila, Tshisekedi was clearly the lesser of the two evils. In the first 24 hours after the election, with so many conflicting claims as to the real winner, the African Union, the Southern Africa Development Community, and the European Union requested that the DRC Government not announce the winner, and instead initiate a recount. The DRC ignored these requests, and the Constitutional Council went ahead and declared Felix Tshisekedi the new head of state. The U.S. did not comment until after the Constitutional Court declared Tshisekedi to be the elected President. The official announcement congratulated the Congolese people for their peaceful election, and expressed the determination to work with the Tshisekedi government for the development of the DRC. Ambassador Gavin’s criticism of the U.S. decision misses the main point. If Washington had denounced the election, and declared that Tshisekedi’s victory was fraudulent, US-DRC relations would have arrived at a dead end. What is really important, is that Kabila is no longer in power, and that his corrupt, predatory system is on the way out. The Congolese people have been waiting for this for more than a decade, and their wish is finally fulfilled. Now, there is much potential for the U.S. and the DRC to cooperate on many aspects of development, private investment and security. The U.S. decision was correct. Ambassador Gavin’s severe condemnation of that decision emphasizes useless idealism at the expense of pragmatic progress in the right direction. I am surprised that she is insisting on the perfect at the expense of the good. That does a great disservice to diplomacy. Sadly, greatness has eluded the Cameroonian people. The country's governance over the past six decades has been deficient in practically every respect. Weak democratic institutions are largely to blame; there is no doubt that Paul Biya will be the winner of the just-completed elections. Like every election in Cameroon since 1982, the 2018 polls were most certainly rigged. Will Mrs. Trump’s Trip to Africa Influence Relations? First Lady of the United States Melania Trump made a goodwill visit to Africa, October 1-7. Her itinerary included the nations of Ghana, Malawi, Kenya and Egypt. The trip was planned in tandem with the United States Agency for International Development (USAID). Mrs. Trump emphasized support for African youth during her visit, continuing her “Be Best” initiative which she has been promoting in the United States. First Lady Melania Trump’s trip to Ghana, Malawi, Kenya, and Egypt beginning October 1 is a welcome signal of the Trump administration’s interest in African development, and its relationship with security and prosperity in the United States. Mrs. Trump’s expressed interest in the welfare of African children, in tandem with her “Be Best” initiative for American youth, is a wise approach, since people under 30 represent a majority of Africans. These African youth will make or break the success of its nations. Almost every recent U.S. President has inaugurated a signature program to support Africa and Africans. The First Lady's upcoming visit to Africa this October is an excellent opportunity for President Trump to establish his own. After a long period of suspense, President Joseph Kabila has decided not to try to revise the DRC’s constitutional two-term limit on his office, agreeing to leave power after the election scheduled for December 23, 2018, two years late. At the same time, President Kabila presented his preferred successor, and who will therefore be the candidate of the “Presidential Majority,” Emmanuel Ramazani Shadary. Kabila’s selection of Shadary was something of a surprise. His name was not on anyone’s list as a possible heir. However, from Kabila’s perspective, Shadary is the logical choice. There are now six months until the DRC’s presidential election, scheduled for December 23. Candidates will file papers starting July 24. It is a good moment to review who is likely to run, and who has the best chances against Kabila’s party, the People’s Party for Reconstruction and Democracy (PPRD). There is a crowded field of opposition candidates. Concerns are running high that they will split the general vote, enabling Kabila’s party to win with a plurality as small as 25%. Many observers are urging the opposition to unify behind a single presidential candidate who stands a good chance of defeating the PPRD. 2018 could be seen as the 55th “birthday” of the African Union, since its predecessor, the Organization of African Unity, was established in 1963. The group’s objectives and influence have changed dramatically over those decades. Highly recommend Ambassador David Shinn's article on China in Africa, outlining several serious problems that the Africans need to manage. During George H.W. Bush’s term as President of the United States, I served as his Assistant Secretary of State for African Affairs. In that capacity, I had the privilege of being in the presence of the First Lady, Mrs. Barbara Bush, usually during visits by African heads of state when Mrs. Bush would host their spouses for coffee or tea. 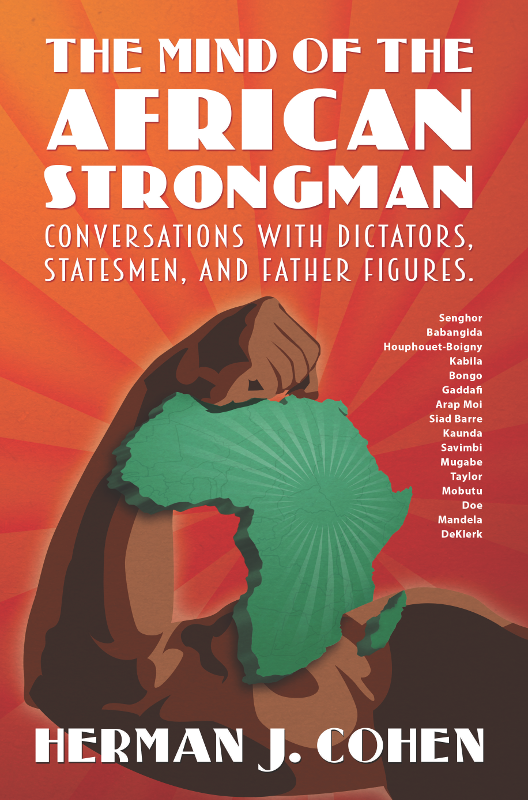 Interested in U.S.-Africa relations? Keep up with the latest news and analysis on my Bublup roll as events develop and President Trump’s Africa policy emerges.